Sabarimala row: While he defends ‘tradition’, will PM Modi also guarantee protection to Bindu and Kanakadurga? 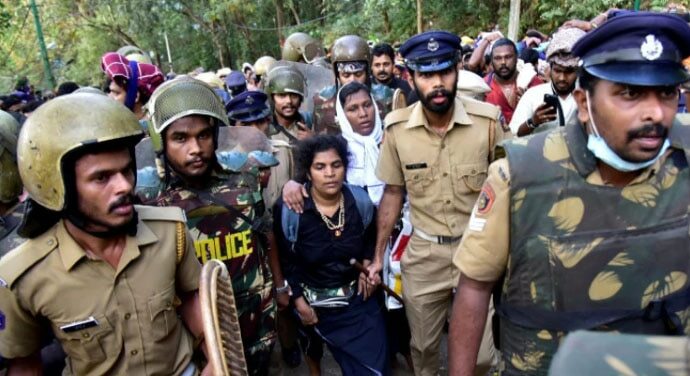 By saying that resistance to women’s entry into Sabarimala temple is a matter of custom and sentiment, the Prime Minister has let down all marginalised groups, including women. 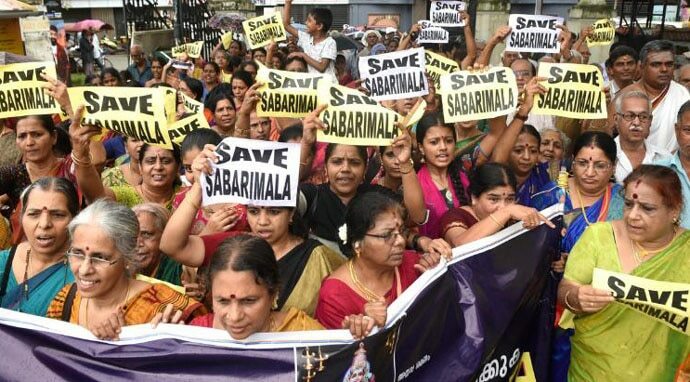 The entry of two women devotees, Bindu and Kanakadurga, into the sanctum sanctorum of the Sabarimala temple on January 2 led to widespread violence in the state of Kerala. The violence, which erupted during the bandh call issued by the BJP and allied organisations on January 3, saw not just damage of public property but also the loss of a valuable life. At a time when Kerala hasn’t fully recovered from the massive floods that hit the state in August-September 2009, the damage to public property caused by the BJP-called bandh proved to be a double whammy. According to me, what actually emboldened the BJP to call for a shutdown was the statement made by Prime Minister Narendra Modi on January 1 during an interview to ANI. 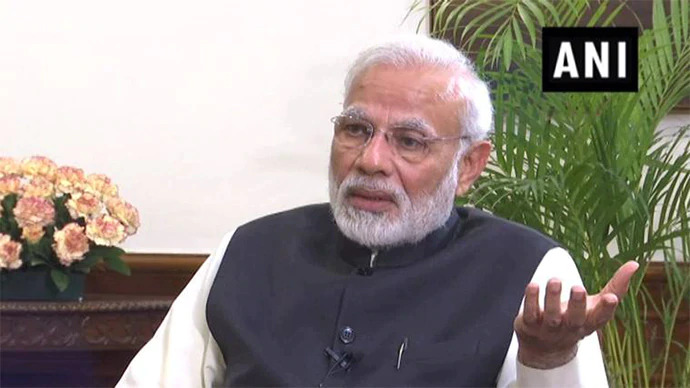 Modi endorsed the protest being led by his party in the state ever since the Supreme Court lifted the ban on the entry of women (of menstruating age) into the Sabarimala temple. During the interview, while answering a question on the Triple Talaq ordinance and the SC judgment on Sabarimala, Modi gave a shocking reply. He said while triple talaq is a issue related to women’s equality, the Sabarimala judgment is (against the Hindu) tradition. As I see it, this is a dangerous stand taken by the Prime Minister of the nation. The BJP and the Rashtriya Swayamsevak Sangh (RSS) are opposing the entry of women across age groups into the temple. The Sangh Parivar is even indulging in violence to stop women from entering the Ayyappa temple. Going by the interview, the PM tacitly supports their violent resistance — which is in violation of the Supreme Court. This move could have huge implications on the judicial governance of India. Social reform has faced stiff resistance in India ever since the modern age began during British rule. Gender equality was a problem across the world, both in the societal and the spiritual domains. In India, however, because of a more rigid patriarchy and well-entrenched caste culture, women faced more problems. The so-called Hindu spiritual system was never organised in accordance with defined canonical laws. Every varna or caste followed its own patriarchy, both in the religious and social order. Islam was the first religion to grant women religious rights. This, in a way, started with the Prophet Mohammed marrying Khadija, who was 15 years older than him. She is known as the first follower of Islam, under the Prophet. Muslim women were the first to read the Quran. The Christian world subsequently allowed women to read the Bible and thereafter, Christian society allowed many reforms in quick succession. The Buddhist women in China and other eastern countries were given social and religious rights only after great struggles. In India, after Buddhism was driven out, women belonging to the top three varnas — Brahmin, Kshatriyas and Bania — suffered enormous oppression, discrimination and exploitation. They suffered forced Sati as well as child marriages, which, in turn, led to more instances of widowhood. Added to this was the fact that widows were not allowed to marry. Not just Shudras, Dalits and Adivasis, but women too were not allowed entry into temples. Women were also victims of domestic violence and frequently accused of witchcraft. The Shudra, Dalit and Adivasi temples, on the other hand, were open to everyone — including women. Some well-known examples include Sammakka-Sarakka Jatara, Komuravelli Mallanna, and Iloni Mallanna temple in Telangana. Interestingly, women play key roles in these temples. Such temples and jataras exist all over the country. This proves the religious culture practised by the marginalised communities were far more egalitarian. Lord Ayyappa was also part of this culture. Women were treated equally at this deity’s temple historically. From 1990 onwards, however, Lord Ayyappa and the Sabarimala temple were appropriated by Hindu Brahminical forces — which led to restrictions on women’s entry. In a welcome move, the Supreme Court reversed the practice. But Modi, who claims an other backward class (OBC) background, should have known the traditions of the marginalised better than the Brahminic tradition. When Modi says that the protest over Sabarimala is about ‘tradition’, what tradition is he actually referring to? The practice of Muslim men divorcing their wives by pronouncing ‘talaq’ three times had also become a ‘tradition’ with this minority community. The government brought in an ordinance to stop this tradition because it is fundamentally wrong — and I support the government on it. But I totally oppose the BJP and RSS on the issue of Sabarimala where Modi’s party is invoking ‘tradition’ and the religious sentiments of men to discriminate against women. It is in the name of tradition — written or unwritten — that women have been oppressed for so long. Reformers such as Raja Ram Mohan Roy brought in reforms by fighting traditions and ‘sentiments’ of the oppressors. The RSS and its allied organisations have not done anything to change any oppressive custom. How does it take Hindu society, leave alone all of Indian society as a whole, towards modernity and advancement? In a traditional society like ours, the Prime Minister must work for social reforms at every stage. One Prime Minister who did that was Jawaharlal Nehru. Modi is very critical of him. But can Modi quote a single reform that he introduced or supported from his position? If the nation’s PM does not back reforms that its judiciary is trying to enforce, who should the nation look up to? In the light of what is happening in Kerala, let Modi answer himself the nation — will he guarantee protection to Bindu and Kanakadurga from the deadly forces hounding them? ← Is spiritual citizenship possible for Dalits and Adivasis within Hinduism?